Setting aside the Gaza confrontations, 2018 was one of Israel’s best years since the establishment of the state. President Trump’s Administration has become the most Israel-friendly U.S. government in history, appointing pro-Israeli officials in the administration, reinstating sanctions on Iran, championing Israel’s cause at the U.N by stating the truth for the first time, recognizing Jerusalem as the capital, terminating funding for fictitious UNESCO refugees, demanding an end to payment of Palestinian Authority-sponsored financial incentives to terrorists and their families, and rejecting the Palestinian demand for the right of return of 5 million “refugees”. In short, a stark reversal from Obama who appeased the Iranians whilst treating Israel almost like a rogue state. Likewise, our relationship with nations which hitherto refused any association with Israel has improved dramatically. Whilst many still tend to vote against us or abstain at the UN, Israel today has good relations with Russia, India, China, Australia, Africa and South East Asia and a host of countries in Latin America – most recently Brazil. In addition, we have established a covert association with the Saudis and Arab Gulf States – which was inconceivable until recently. But now storm clouds are gathering and we face serious new and intensified threats. We are at a loss to anticipate where Trump is heading after his precipitous and totally unexpected decision to withdraw U.S. forces from Syria. Although the precise scope of the withdrawal has been qualified in recent days, Trump’s allies now fear that with the Russians effectively controlling the region, it will be a boon for the Iranians. The IDF is probably at its highest level of preparedness and claims it would ably defeat an attack from all its adversaries but concedes we would face heavy civilian casualties from missiles. We cannot become complacent and should remind ourselves of the disastrous events preceding the Yom Kippur War exacerbated by our hubris and note that the IDF Ombudsman warned of weaknesses on the ground and the need for additional supplies. Notwithstanding deployment of Russian anti-aircraft missiles, the Israel Air Force is continuing its sorties in Syria whilst the Iranians remain engaged in preparing for a war to destroy us. In addition, Israel continues to face intensified terror from Hamas on the Gaza border. Israel is also concerned at the recent signs indicating that Russia has downgraded the warm relationship hitherto displayed by Putin. Whilst there is military coordination of sorts still prevailing with the Russians, it is a highly fragile relationship which could easily break down. In the context of these new threats, the burden of leadership falls primarily on our prime minister who, aside from holding four ministerial portfolios, is diverted virtually every day by police interrogations and the imminent announcement by Attorney General Avichai Mandelblit poised to indict him for corruption. Yet, despite the immense pressure, he remains in control and is effectively the only person capable of making the necessary decisions that could determine war. At times like this, the focus of the government should be to concentrate on the current security threats. Alas, in lieu of this we have been thrust into an election season where most politicians are bent on seeking votes rather than serving the national interest. What a contrast today to the personalities of yesteryear, like that of recently deceased Moshe Arens, a man of unquestioned integrity and political stature, a diplomat and leader who was utterly dedicated to the national interest. Despite being more powerful militarily than we have ever been, it is the height of irresponsibility to be engaged in self-seeking electoral issues at a critical time when we should be uniting. We remain saddled with a proportional preference system, which may be the most democratic, but gives disproportionate power to smaller parties, enabling them to hold the balance of power and extort the majority for its own sectoral objectives. We are in a period of political chaos. With the total collapse of Labor following Avi Gabbai’s ousting of his partner Tzipi Livni, there is no coherent mainstream opposition party. Ministers Naftali Bennet and Ayelet Shaked defected from Bayit Yehudi to form a new party, and individuals like Benny Gantz decided to join the political fray and create yet another new party (Israeli Resilience) but as of now has disclosed no policy beyond claiming to be centrist. 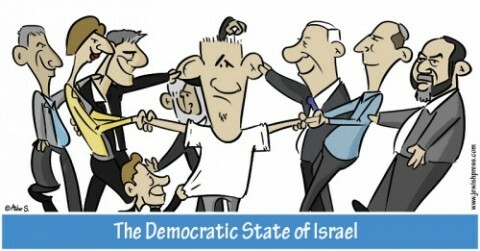 However, on the crucial issue of security and foreign affairs, if in government the centrist parties would undoubtedly promote the path supported by the vast majority of Israelis who believe that the goal should be to separate ourselves from the Palestinians – if we could achieve this and still retain security. They would emphatically oppose the creation of another terrorist state on our borders which would serve as a launching pad for the Iranians against us. Until that happens, the consensus is that the status quo must be maintained until the emergence of a Palestinian leadership willing to accept our existence and co-exist peacefully. This approach, given minor nuances, is that of Prime Minister Netanyahu. The current prediction is that, despite his bitter personal adversaries and the demonizing media, Netanyahu will be reelected prime minister. Of course, with the present confusing proliferation of small parties and the impending indictment there is always the risk that opposition parties will merge and form a non-Likud government. There is also a genuine chance that many mandates of the right shall be lost by votes cast for parties not passing the minimal electoral threshold. However, on the assumption that Netanyahu does form the next government, it will likely be his final term. If he were to publicly announce this, it would be admired by the entire nation. He should then appoint ministers capable of fulfilling the vital jobs to enable him to concentrate exclusively on his role as prime minister. Then he should approach the opposition and invite those willing to join a national unity government to deal with security issues and relations with the Palestinians. It should be noted that Menahem Begin despite his perpetual venomous relationship with the Labor party, managed such a move before the Six Day War. Today, one could only dream that most opposition leaders – aside from the Arab Joint List and probably Meretz – could set aside their short term personal and political ambitions and come to a consensus in supporting the government in relation to security issues and foreign affairs. Whatever his failings, few could deny that for the immediate future there is nobody who would be remotely as effective as Netanyahu in leading the nation at these levels. 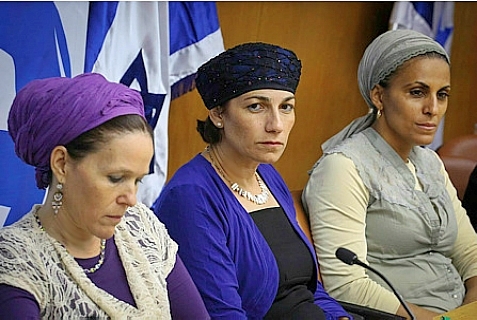 In the highly unlikely event that such an arrangement could be achieved with the leading opposition parties, Israelis may begin to respect their political leaders, contrary to what is currently the case when most of them are despised as selfish opportunists rather than lawmakers concerned with the national interest. Aside from creating a sense of real unity in the nation, it will also have a major positive impact on Diaspora Jews who would be incentivized to support the state of Israel rather than identifying with partisan political groups. It could also have a constructive influence on the many nations which currently distance themselves or oppose us. Alas the probability of this becoming a reality is slim because most politicians are more concerned with their short term personal ambitions. The likely outcome is that Netanyahu will be reelected, but there are many unpredictable factors that could deny voters their preference. Sadly, the next government is likely, once more, to be dominated by small parties led by egotistical individuals pursuing their own partisan self-serving interests, often at the expense of the national interest. Isi Leibler is a veteran international Jewish leader with a distinguished record of contributions to the Jewish world and the cause of human rights. His website is www.wordfromjerusalem.com and he can be contacted at ileibler@leibler.com.